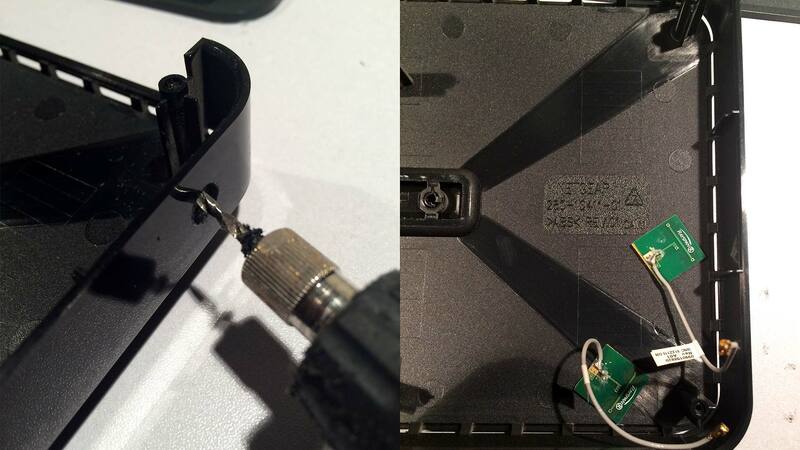 Netgear WNDR3700v2 7dbi antenna mod – nope! I performed the Netgear WNDR3700v2 7dbi antenna mod and I got some bad news. I decided that I was going to do some upgrades to my Netgear WNDR3700v2 router with a 7dbi antenna mod which I bought off of eBay. This blog entry is to post my findings for all as a warning that the days of adding bigger antennae to a balanced “N” router is over. 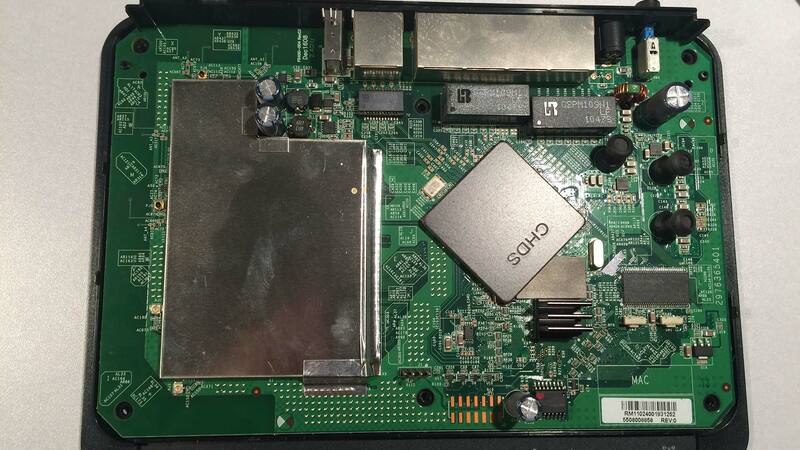 At least without some serious re-soldering of pads and possibly some legit 5ghz antennas. Read more to see the brutal details. I seen an add on Ebay entry about getting better range and better performance out of your pre-existing Netgear routers. and provided that you have access to all of the ports like they were promising it could work so long as you get high quality antennas and evenly distribute them along your router. Now I bought a bunch of 7dbi antenna’s with some high quality UFI connectors all from both my Raspberry Pi and my Ouya wireless modding days so really no problem there. Using by trusty CyanogenMOD’ed kindle fire we begin getting samples of the router before any modifications to it begin. It appears to be hovering in the upper 40’s which isn’t excellent, but not really that bad ether considering I’m going from a low-power router to a ultra-cheap android tablet. 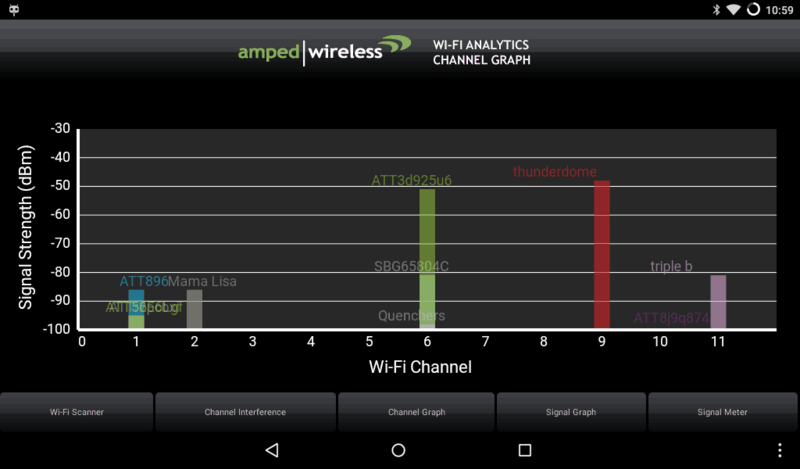 Thunderdome is the SSID that is mine. 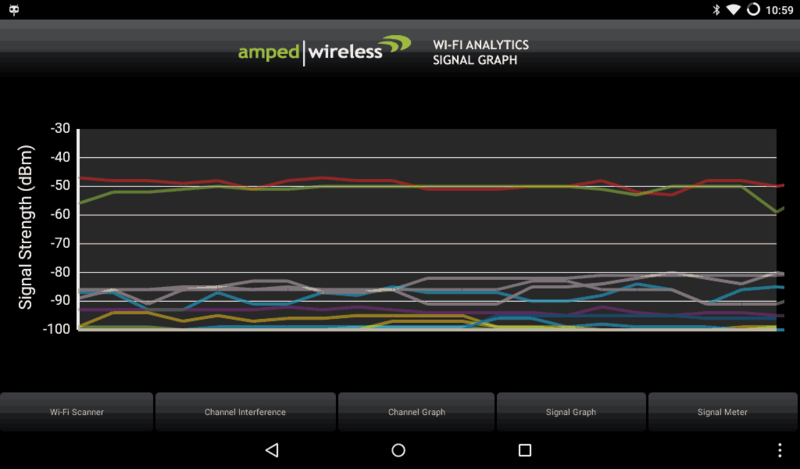 And here’s the signal graph. Once again hangs around the upper 40’s to lower 50’s. with the red line being my router. So now that the parts and snapshots are all taken care of lets begin with the modding. Since DD-WRT is loaded onto the router minus well cross-reference of devices via the router. The tablet sitting at 54:26:96:BC is hovering around 48dBm so the android software and DD-WRT are seeing things on an even level between the two. Adding the 7dbi antenna to the WNDR3700v2 router. Getting into the router is really easy and has no interlocking plastics which all we can say is “Good job Netgear!” no worries about destroying plastics like the good ole’ linksys days. just remove two screws in the center, then peel away the rubber feet at the corners and remove the 4 screws from each cornder. Pull up and you’re done. Here’s where the problems start to kick in. If you look at the manual that my Ebay’er gave me which is right here. And if he blocks it then I’ll make a copy of it right here. Page 2 starts talking about how the upper porton is the 2.4 ghz and the lower half is 5ghz. Unfortunetly, the only UFEI connectors are for the 5ghz channel. If you look close at the two UFEI connectors that are black on the inside those are just dummy plugs. Something they thought of adding but then didn’t. Which at this level it suddenly becomes a job that requires a soldering iron. Which gets confusing. Why would I want to increase the 5ghz channel only? Whatever, perhaps they share the channels so I continues to install them. After you remove the cover it’s best to put something like gaffers or electrical tape over the pre-existing wires in the event you have to revert back due to a failed install. When drilling the holes we prefer the trusty dremmel with a small drill bit because you can punch the hole into the ABS and slowly grind out the diameter of hole that you want. Using a large bit drill may cause ABS plastics to shatter. Once the holes are drilled to the right diameter you can then plug right down to the board. Be careful when re-assembling your router as due to the thickness of the new wires they can have a tenancy of popping out of their socket if you put to much pressure on the lines. Performance – Does this mod work? It’s time for a side-by-side comparison between with a mod and without. 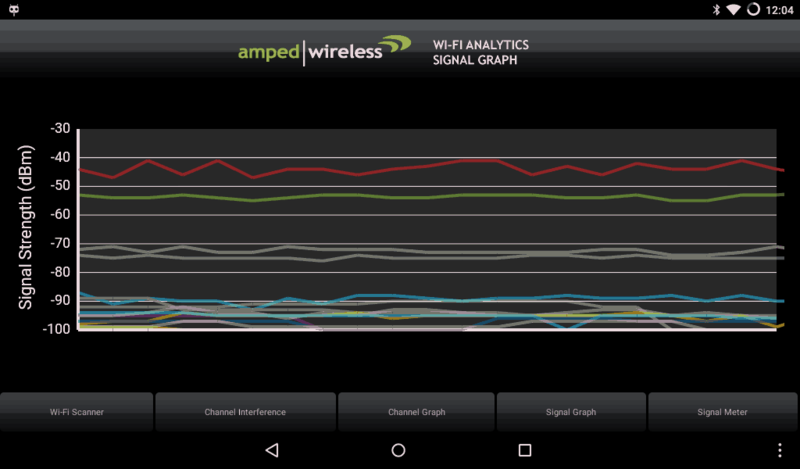 Wi-Fi analytic snapshot using my Kindle Fire. While wireless bandwidth did improve it was only by about %5 over using the stock antennas built into the router. And also note that while the 2.4ghz spectrum on ath0 seems to be doing better for almost all devices the 5Ghz band on ath1 seems to have taken a ten to fifteen percent hit in performance over simply leaving the antenna alone. Upon doing a distance check I found out that my wireless signal was actually shortened by approximately 20 yards prior to loosing signal on the 2.4ghz spectrum and I lost it just walking into another room on the 5Ghz band. truly the router does not like what I’ve done. So I must take it apart again and revert what was done. This will be my “Final thoughts” about the WNDR3700v2 Netgear router. And to answer what happened there is many reasons why this little experiment went wrong. 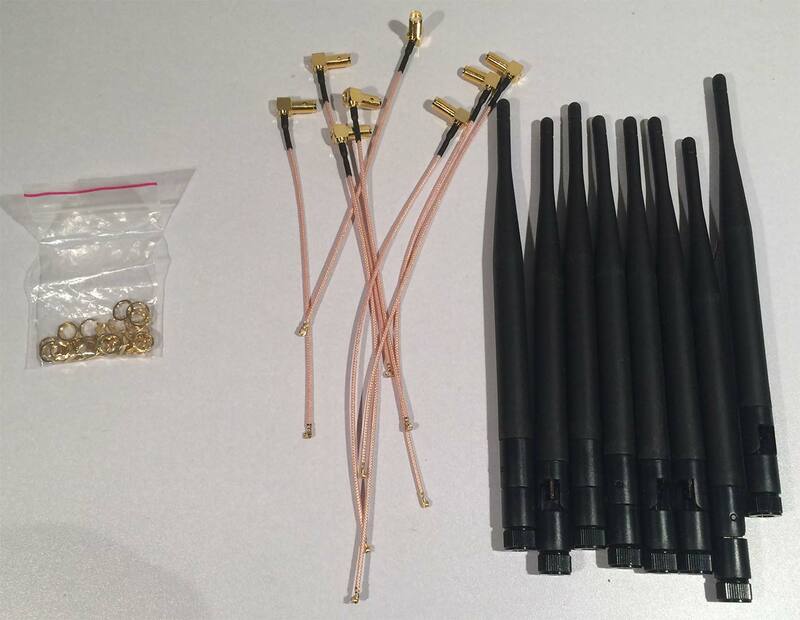 The Ebay sellers sold my antennas that were not designed for the 5Ghz spectrum. As a result a degraded signal then what we had before. Solder work on the board. If I Had multiple versions of this router I would give it a try. Unfortunately, this is my only router and I like being on the net very much! Antenna placement – This goes a little on hand with the first statement except that perhaps the spacing of the two antennas was too close resulting in the crazy signal loss that occurred. 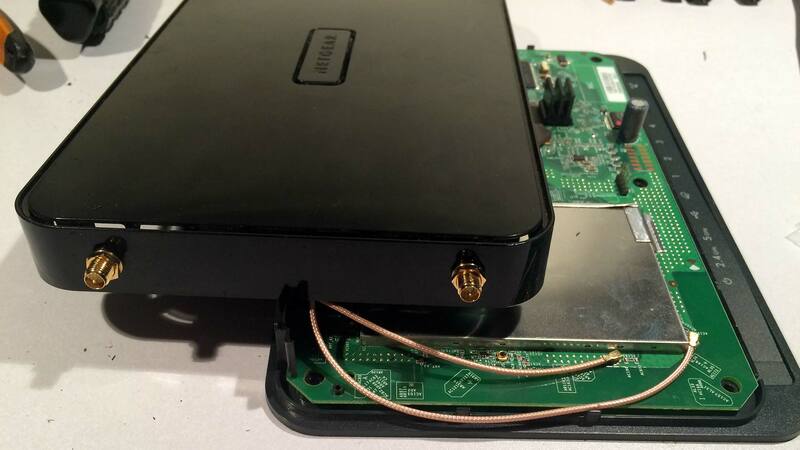 Either way, this hack is considered a bust as the Ebay sellers just want you to buy more hardware that you don’t need to see an improvement you may not notice or make things worse for your router. 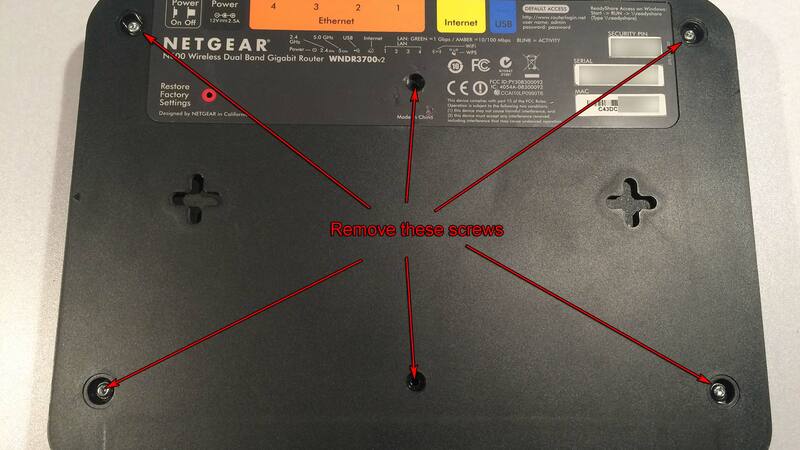 Unless you want to play with installing UFEI connectors onto the Netgear board there may be no way to truly balance the antenna and thus increase the dbm gain of the router. These are my findings. If you find a way to get a better router of the WNDR3700v2 I would love to listen. SkyWolfEye 14500 li-ion battery – Way too many nouns!